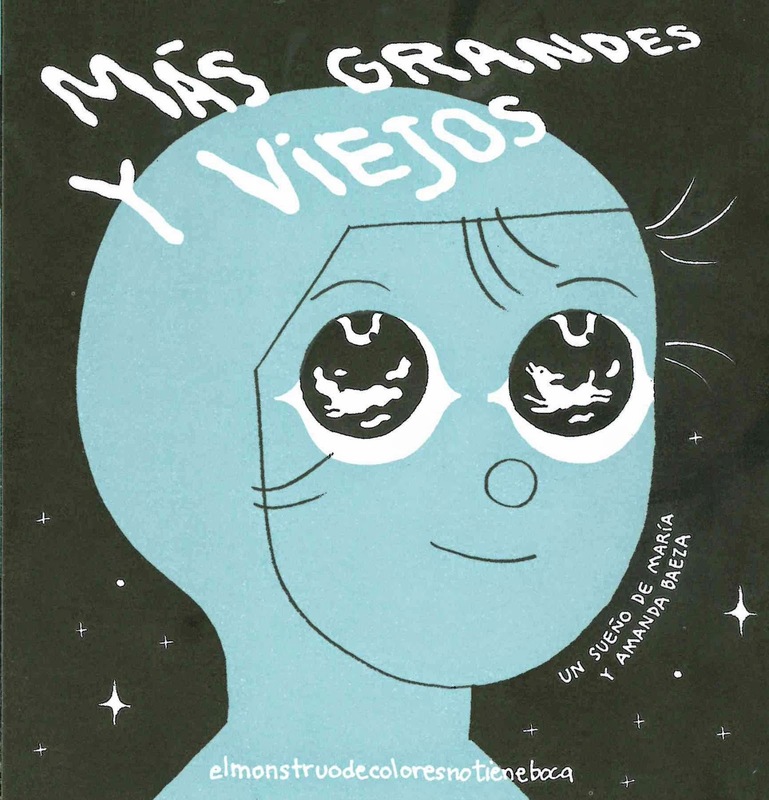 You may remember a while back I wrote about the Spanish elmonstruodecoloresnotieneboca (the monster of colours has no mouth) project, which launched in 2002 with the aim to traverse a 'worldwide journey to collect dreams written by kids in different countries.' 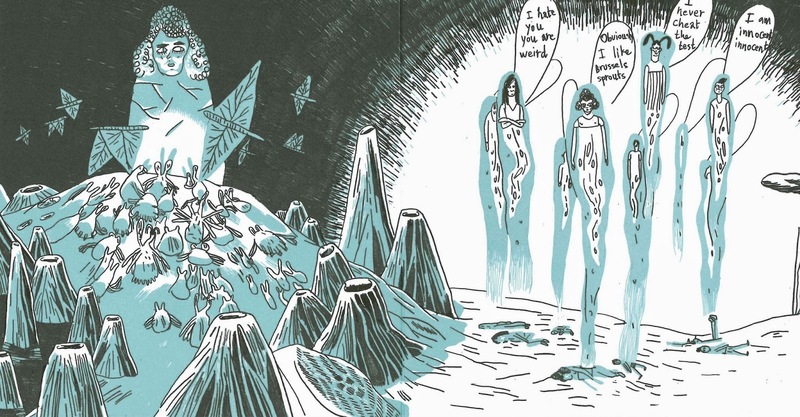 A selection of these transcribed dreams are then passed on to various artists, who, with the help of their talents and a little imaginative license, then render them visually on the page. The project has seen children from Mexico, Spain, Brazil, France, Cuba, Germany and Israel participate since its foundation. 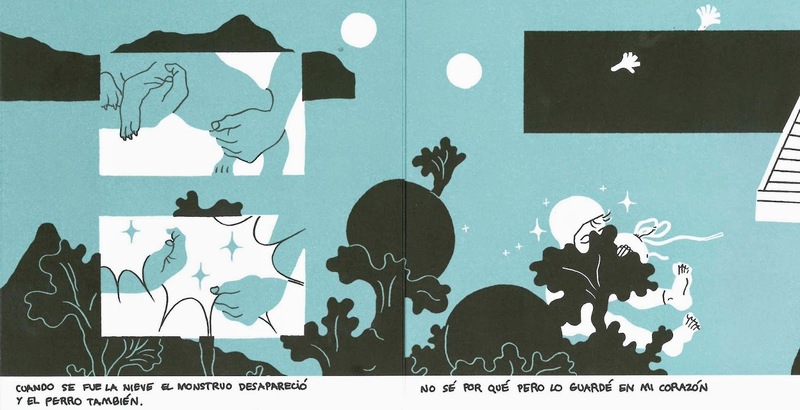 Elmonstruodecoloresnotieneboca produce these 'dream booklets' for sale as concertina comics of a sort, a leporello, with each 'page' serving as a panel, which unfolded tells a larger story. A number of immensely talented artists have taken part in the project (you can see more at their website, which is a treasure trove of art, and you might want to bookmark), and they were kind enough to send me a selection, which I thought I'd scan and share here-it's the weekend, which means nice art to wash your eyeballs in. 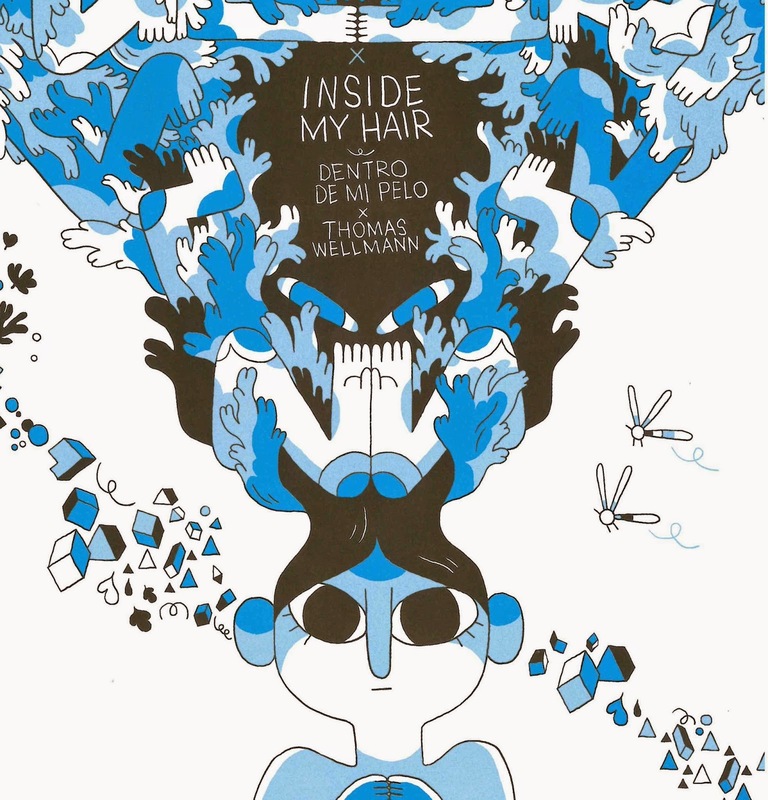 First up, is the one I was most excited about: German cartoonist Thomas Wellmann's Denitro De Mi Pelo (Inside My Hair). If there's one thing we've established about Wellmann here on the blog, it's that the man can draw -see Pimo and Rex for pictorial evidence- he's a blend of Lewis Trondehim and Zac Gorman, creating gorgeous, brightly coloured adventure-scapes, populated by animals, and geometric, angular, round, gloopy odd and yet charming characters. Here, he takes six individual dream transcriptions and brings them together in one busy, zany world- the composition of it is amazing. 'I dreamed that I was locked in my house and my friends were monsters. One of them had a single eye, the other one had six ears and the other one had ten arms. We became friends. In the street we wore costumes so they wouldn't see us. I dressed up as a monster and er were going to a fancy dress party.' -another gem from Andrea, aged 9. 'I dreamed that when I was having breakfast I found a head under the table and it told me there was a tournament for killing zombies. I went out of the house and there were a hundred zombies destroying the village. the head gave me a sword made of diamonds and I killed all the zombies, and that's how they gave me the trophy and I woke up.' -Joan, aged 9. There's a really good interview with Wellmann over at the site, too which is worth a read, if you're at all interested in his work. 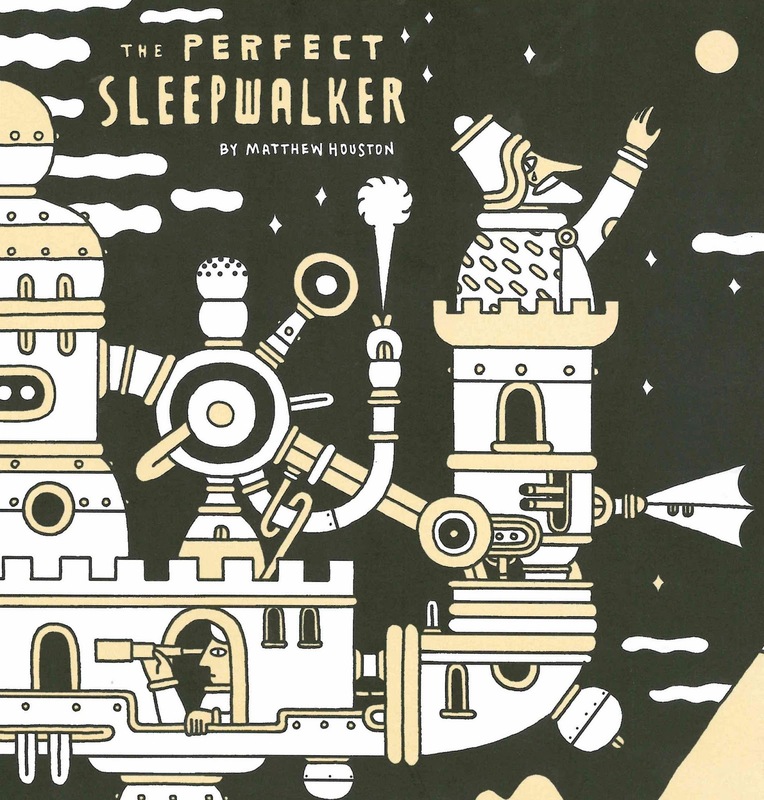 'The Perfect Sleepwalker' illustrated by Matthew Houston: 'I dreamed about a truck driver who was a sleepwalker. At night he dreamed that he had a racing car and he sleepwalked and turned the truck into a racing car.' -Alejandro, aged 10. 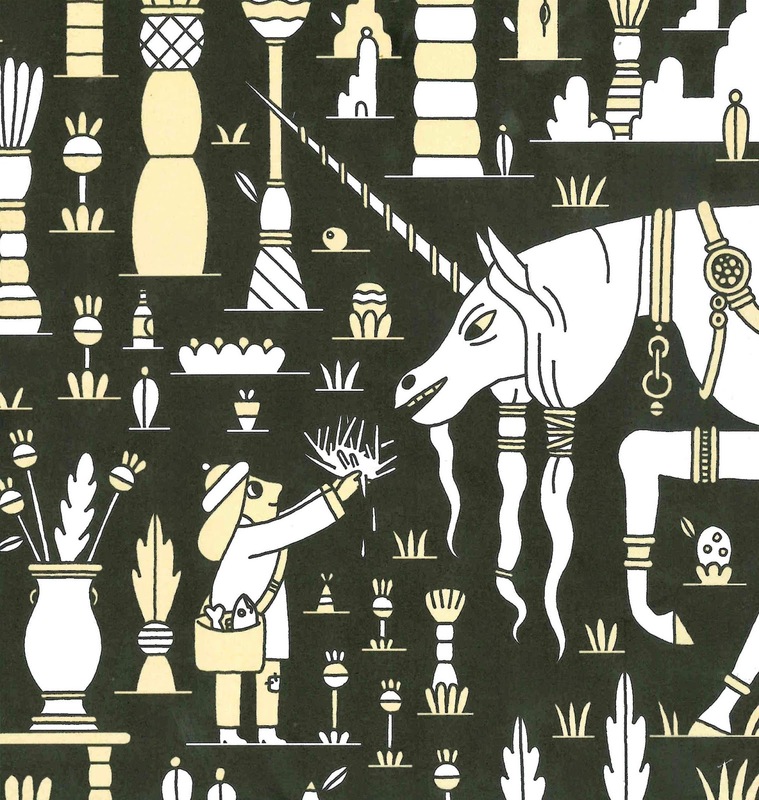 I love Houston's interpretative style here, fairytale/fable reminiscent, rendered in that precise, pattern/symbol-esqe, tapestry manner. 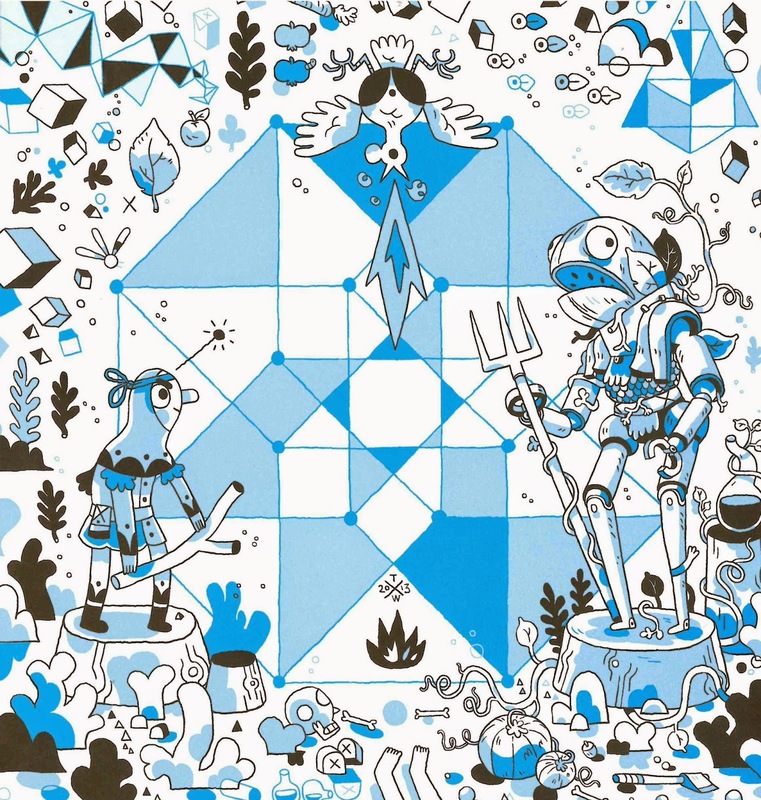 Baeza's approach is lovely, surreal, sparse, playful, but so evocative. 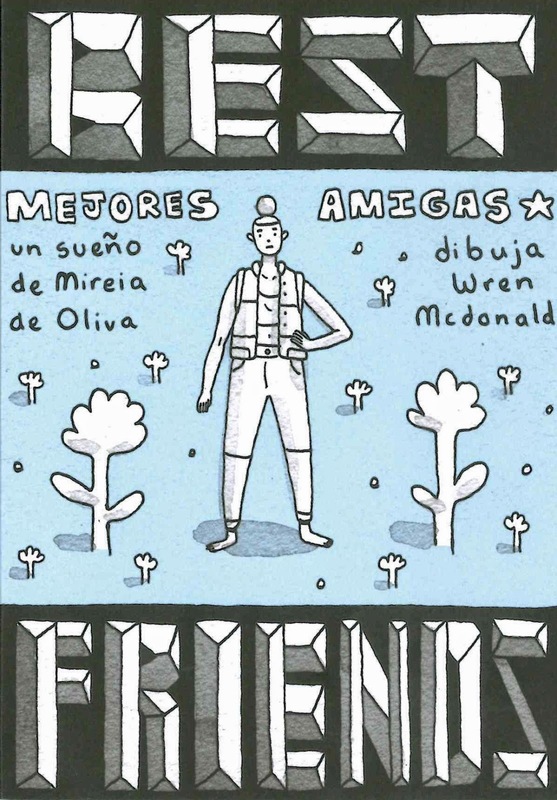 And finally 'best Friend's illustrated by Wren Mcdonald, who brings 9 year old Olivia's dream to the page: 'Today I dreamed I was at the park, being chased by some of my best friends. When they caught me, they threw me into a black hole. And that black hole took me to Mars, that planet in space. I was exploring and some extraterrestrial tied me up. 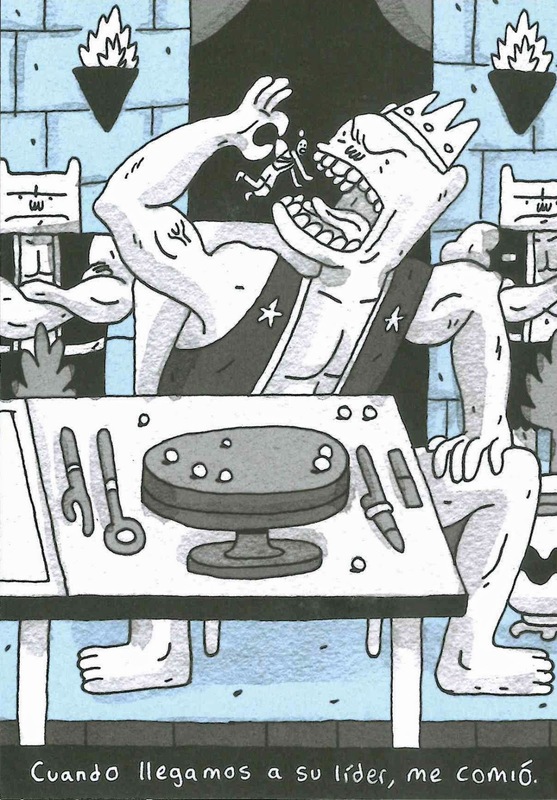 When they took me to their leader, he ate me.' 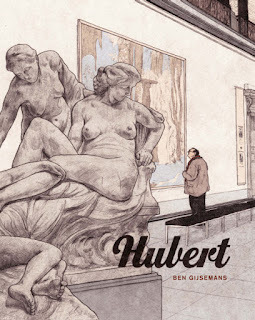 I like how the project underlines the role of the artist in comics- these dreams could be spun out in so many ways, but it's the artist who brings the tone and emotion and decides which way it's all going to lean. 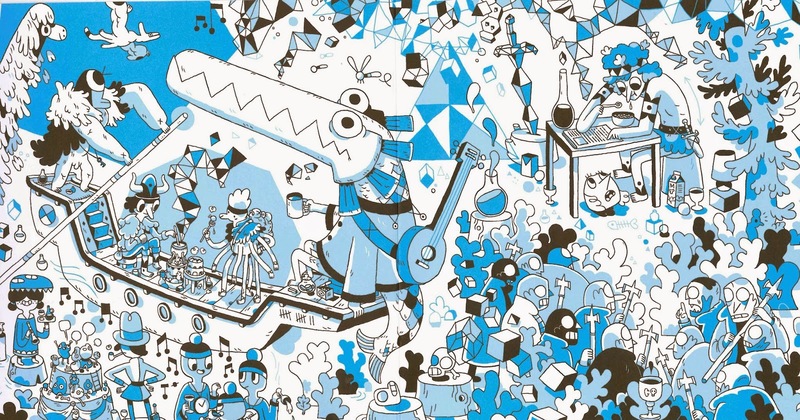 As I've stated previously, I'm a big fan of the elmonstruodecoloresnotieneboca project, and the work Roger Omar does, particular in involving schools and children around the world to demonstrate the power of imagination, words and pictures. 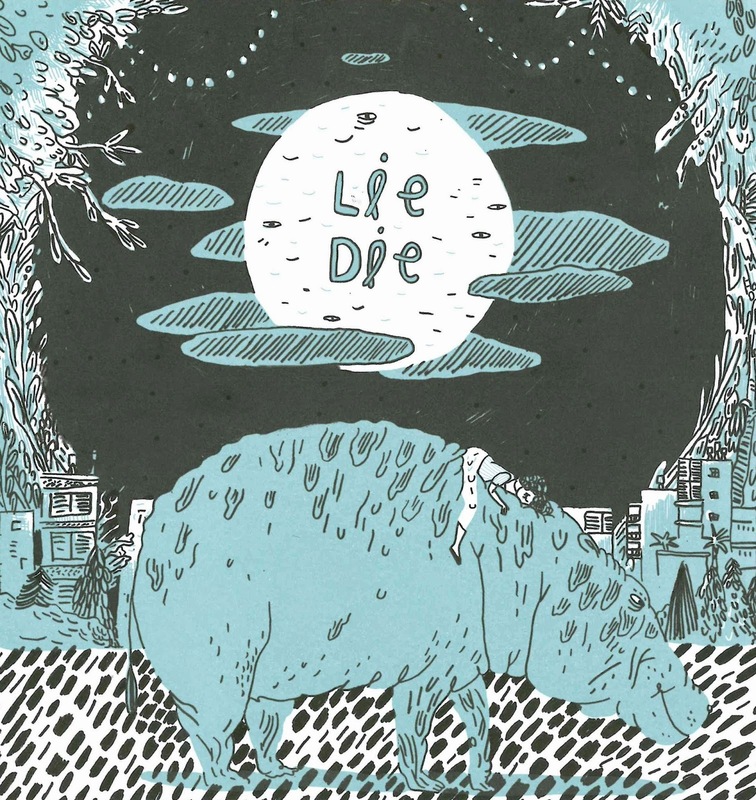 I can't imagine how exciting it would be for a child to send off the dream they wrote and get one of these amazingly illustrated booklets back. They're really well designed, too, on quality cardboard, and are a pretty nice things to have and give in their own right- you can visit the online shop here.